Plant your own mason jar herb garden with this great round up of ideas. Turn a group of mason jars or any recycled jar into a great herb garden. 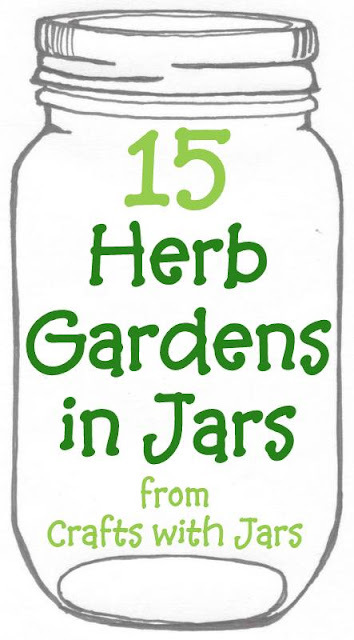 Get inspired with these 15 great links and then get crafting on your own herb garden in a jar. Can't get enough jar crafts? Be sure to follow our jar crafts Pinterest board. In the meantime, get crafty with these 15 herb gardens in jar ideas. You have some very good ideas. love them all. Cute ideas--with some of my favorite things--herbs and jars and such! Inspirational!